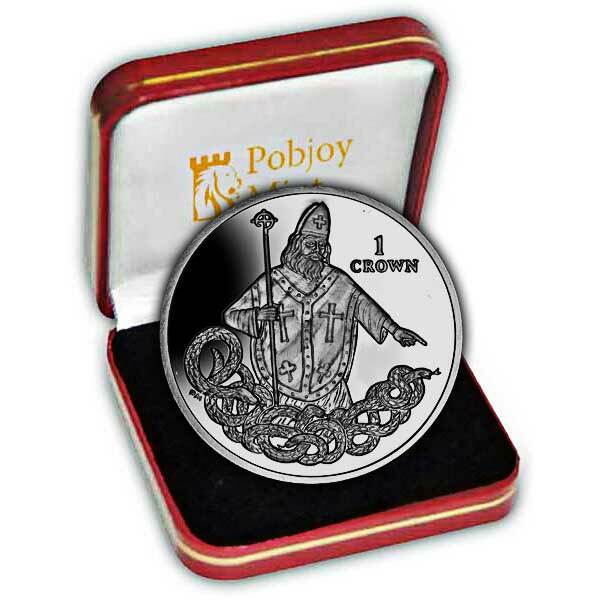 The Isle of Man 2013 St Patrick Commemorative Coin, also in Proof Silver, is a magnificent coin fitting for any collection. Baseding on tale, St Patrick initially established foot at Peel islet where he constructed a church and which has ever since been called St Patrick's Isle. The remains of this earliest church can easily still be seen among the ruins of Peel Castle. It is claimed that St Patrick was returning from Liverpool to Ireland in AD444 with a band of 30 followers and landed in the island of Eubonia (Isle of Man) 'Wher e he found people, as least the rulers, given to magic. But being overcome or convinced by his preaching and miracles, they were converted or else expelled from the Island'. (Sacheverell’s survey of the Isle of Man, 1702). St Patrick apparently stayed there for three years, transforming the people through his preaching and his wonders. He is stated to have actually blessed the Isle of Man 'from end to end', freeing it from toads, snakes and 'venomous creatures, noticeable devils and a wide range of magicians'. 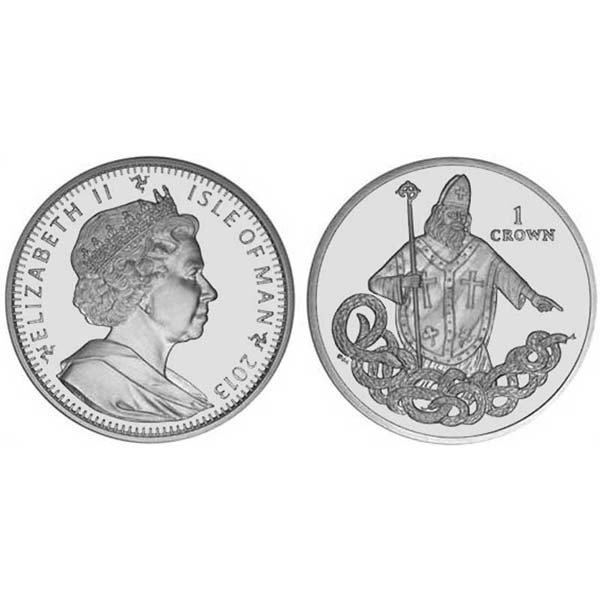 The picture on the coin shows St Patrick casting out snakes throughout his time on the Isle of Man with the obverse holding a great effigy of Queen Elizabeth II, Lord of Man by Ian Rank - Broadley FRBS. The coin is available in Cupro Nickel and Proof Sterling Silver. All coins are produced to the highest quality and the precious metal coins are struck four times to produce a wonderful mirror finish background with the style built in striking comfort.